The new Evoluent Vertical Mouse 4 - VM4RB Right Hand Bluetooth Mouse offers new features that add to the popular Evoluent vertical mouse design. 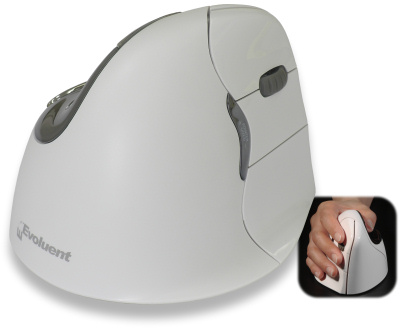 Evoluent Vertical 4 Mice now include a more contoured shape to better fit users' hands, the option to change cursor speed without changing your grip on the mouse, and a sleep mode to conserve notebook battery power. Includes Mac OS X driver for programming 6 buttons. The driver is not required. Includes Mac OS X driver for programming 6 buttons.